How Has Vaping Evolved Over the Years? Would you believe that the first patent for an electronic vaporizer was filed way back in 1927? Although it never was commercialized and it’s unclear if a prototype ever existed, Joseph Robinson patented the design for an invention that would vaporize compounds for medical use. Later in 1965, Herbert A. Gilbert filed a patent for a device more closely resembling the modern e-cig that we know today, although this too never took off on the commercial market. Although there were other variations and patents filed over the next few decades, it wasn’t until 2003 that electronic cigarettes became available to the public for purchase. These first vape devices were what later became known as “cig-a-likes” because of their close resemblance to a traditional cigarette. They were lightweight, compact, and provided smokers with a way to try and shift away from tobacco use. Compared to vape devices we know today, these were more rudimentary and didn’t have much room for customization. Many times, they were disposable and non-refillable, meaning vapers couldn’t fill them with their own e cig juice. Even so, they played a crucial role in accelerating innovation and introducing tobacco users and non-smokers alike to the world of vaping. Evolving from the cig-a-likes, innovators and companies from around the world found new, more efficient ways to enjoy e juice flavors. The introduction of the pen style vape was revolutionary as vapers could now load in their favorite juices and change out their atomizers and batteries, rather than tossing their device in the trash when the e juice ran out. Other devices like the MOD gave users a longer battery life, more efficient vaporization, and more control over their vaping experience. They could try out different coil winds and wicks and adjust their temperature as well. Safety features like short-circuit protection kept the entire vaping experience safe. While the introduction of different tanks allowed for further customization with users able to adjust the airflow and choose different mouthpieces that suited their vaping style the best. The recent rise of pod systems is bringing people otherwise deterred by huge clouds and bulky vape devices into the vaping world. They are often compact and perfectly pocketable, offering a huge punch in a smaller package. With pre-filled pods full of different vape flavors, they are the plug-and-play solution for many new vapers. As for what the future holds, the vape industry is still relatively young but has made significant innovations and strides in recent years. Regulation and laws will continue to shape the industry so vape companies, manufacturers, and retailers will need to be flexible. Whatever the case may be, if the last decade is any indication, the future of vaping will be filled with improved products, great flavors, and continuous innovation. 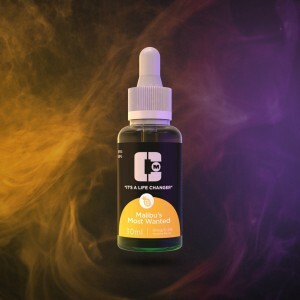 Mt Baker Vapor is a trusted online source for your vape starter kit, vape juice, advanced hardware, and more. Founded in 2011, this Arizona-based company strives to deliver high-quality vape products at blazing-fast speeds. They offer affordable wholesale prices and a wide selection of everything you need for vaping, along with friendly customer service.